The Falls of Autry Mill is located just between Jones Bridge Road and Old Alabama Road. Homes in The Falls of Autry Mill are spacious and imposing, mostly built in the 90s and early 00s with a few newer constructions, as well. 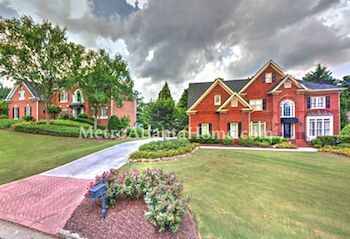 Lots are large, with either spacious front yards or private back yards, and construction varies from complete brick to stucco to siding. Most homes are traditional and feature stone or brick detailing. 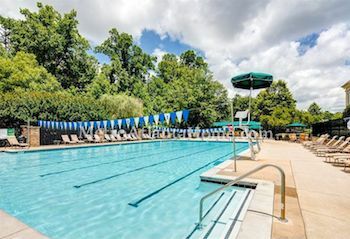 The Falls of Autry Mill has an active neighborhood association with amenities such as a club house, a lake with fishing spots, a swimming pool, tennis courts, gym, and more. Schools for The Falls include Dolvin Elementary, Autrey Mill Middle, and Johns Creek High. Residents enjoy Autrey Mill Park, the Chattahoochee Recreation Area, and other parks that are within short driving distance to The Falls.